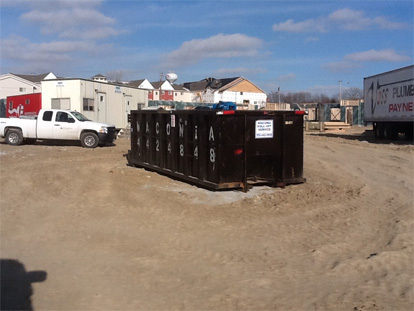 Waconia Roll-Off Service rents dumpsters of various sizes for use in Eden Prairie, MN and the west Twin Cities metro at large. Our licensed, bonded and insured company has built a local reputation for prompt service and fair prices. If you have a construction or clean-up project that will require trash hauling service, give our locally owned and operated business a call. Available in sizes from 10 to 30 yards, our large fleet of roll away garbage bins is at your disposal! Call us and speak with our rubbish removal experts about your project. Based upon their experience, they will be able to help you choose the correct size of dumpster to give you the best possible value. We serve the Twin Cities west metro, including those living in the vicinity of Minnetonka, Bloomington, Richfield and beyond. Randy was great, he got us the dumpster out quickly, and picked it up right after we called him!